Disney World is renowned for it’s world-class entertainment. We are consistently wowed by the caliber of it’s performers no matter how many times we have seen the live shows – they are just that good! Today, we share the best Disney World parades and shows at all four of the Disney Parks. This is Magic Kingdom’s main afternoon parade (commonly called the 3 o’clock parade). The floats and costumes of Festival of Fantasy are impeccably detailed, and the performers bring them to life in a dazzling way each day. These are some of the largest and most intricate parade details we have ever seen. All your favorite princesses and characters can be seen here, and the music goes perfectly with the pageantry of Festival of Fantasy! Our favorite unit is Tangled with Flynn and the ruffians swinging high above the crowd on an ornate longship. And don’t miss Ulf, the man from the Snuggly Duckling who dreams of becoming a mime — so funny! A live, stage performance taking place at Cinderella Castle on the Forecourt stage, Mickey’s Royal Friendship Faire brings together Mickey’s friends who have ventured far and wide to gather together. Mickey, Donald and Goofy each invite friends to take part in the show. Anna, Elsa, Olaf, Tiana, Rapunzel, Flynn and more attend and share songs and stories from their homes. There’s a wonderful original song and so many characters so see! It’s hard to put into words just how spectacular the new Happily Ever After fireworks show is at Magic Kingdom. Running 18 mins, this show combines state-of-the-art projections on the front of Cinderella Castle with lights, lasers and some of the newest and most unique exploding fireworks we’ve ever seen! The show features animation and songs from over 15 Disney animated films and culminates with a stirring new musical score that will surely leaving you singing, if not shedding a tear! 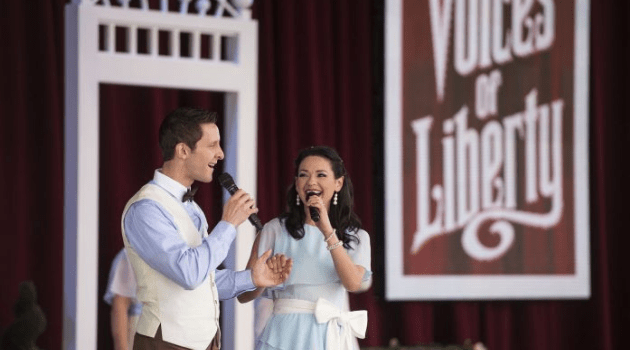 Speaking of shedding tears, the Voices of Liberty a cappella group at the American Adventure Pavilion sings so beautifully, it’s common to see guests moved to tears as they perform American classics like “America the Beautiful” and “This Is My Country.” The beloved 8-member group impresses with each performance—while the rotunda’s acoustically perfect dome amplifies their perfect sound. You won’t believe your ears! Over in the France pavilion, you can catch Serveur Amusant for an acrobatic performance that takes to the skies. No matter how many times we have seen this act, which takes a “server” high above the audience by stacking and balancing on chairs and other objects, we are constantly impressed. Our hearts pound a bit with each precarious move higher and higher! C’est magnifique! If you want a laugh (and a chance to participate in the show), make sure to catch Sergio in the Italy Pavilion. He’s a master juggler and mime with some impressive tricks! Sergio engages both kids and adults in a lighthearted, old Italian piazza-style juggling show. Whether your participating or watching, you will definitely be laughing! Star Wars: A Galactic Spectacular is a fireworks and projection show that’s an absolute must-do for the Star Wars fan. Lighting, lasers and pyrotechnics light up the night’s sky set to John Williams’ thrilling Star Wars score. The Chinese Theater and the surrounding buildings become screens as projections bring you into the middle of the action with your favorite heroes, villains, droids, Wookies and more. This is a perfect way to end your day at Disney’s Hollywood Studios. There’s no official parade at Disney’s Hollywood Studios, but the March of the First Order is a little bit like one. Several times each day, guests clear the way for Captain Phasma and her squad of Stormtroopers as they make their way up Hollywood Boulevard to Center Stage in front of the Chinese theater. It’s pretty cool to see an actual squadron of Troopers marching obediently behind their ruthless commander. The March makes for great photo opps, too! 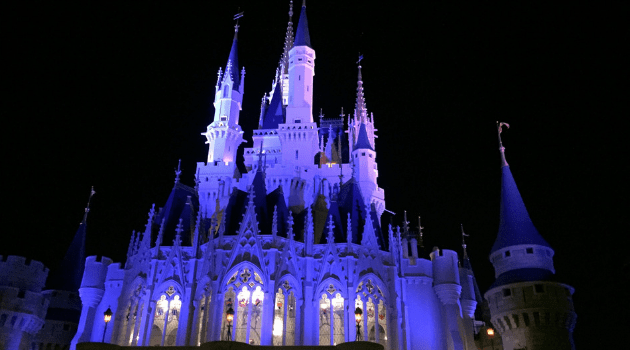 If your family is really into Frozen, you might choose For the First Time in Forever: A Frozen Sing-Along Celebration over Indiana Jones Epic Stunt Spectacular, but we love and recommend Indy. This stunt show has been running a really long time, but the explosions, suspense and practical effects never get tired. How can you beat Indy running from the huge boulder or fighting the huge Bavarian mechanic like he did in Raiders of the Lost Ark? You can’t! 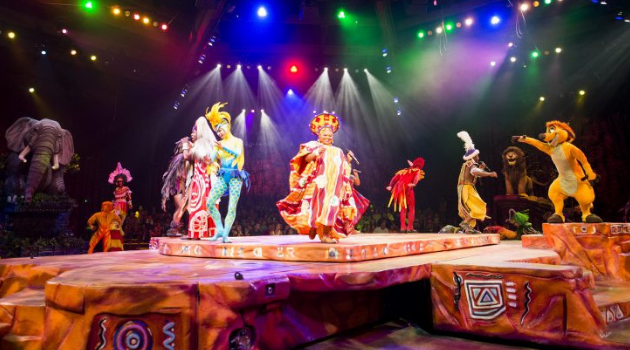 This could very well be the best live show at Walt Disney World, so you absolutely do not want to miss Festival of The Lion King! Here, you’ll join all your favorite friends and characters from Disney’s The Lion King in a boisterous, big-as-Broadway show. Everything from the zany Tumble Monkeys to the fire dancer to the incredible singers is captivating! Be ready to sing along with the beautiful and fun music while you watch. Up! A Great Bird Adventure is a new show at Disney’s Animal Kingdom. It takes place in the theater in Asia that formerly hosted Flights of Wonder. This show is similar to Flights of Wonder in that it features many of the same exotic birds, but now Russell and Dug from Up! are also in the show. It’s fun-loving, cute and comical and is a definite must-see, especially for fans of Disney-Pixar’s Up! After the sun sets, pay special attention to the Tree of Life at the center of Disney’s Animal Kingdom park. Approximately every 10 minutes, flickering fireflies magically appear and the animal spirits that are carved into the tree’s trunk come to life! These “awakenings” bring stunning visuals with vivid colors for your eyes to feast on with video projections and accompanying music. There are several different shows, so try to catch more than one if you can. The Awakenings take place on both the front and the back of the tree, which gives you more places to watch and more opportunities to catch a performance. We especially love the Disney characters referenced with the animals shown in the shows. 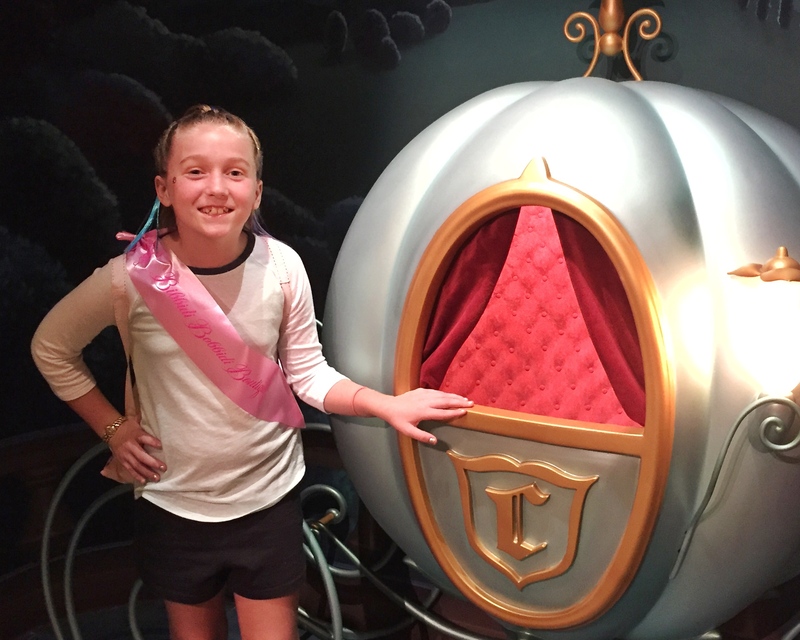 Putting this list together was tough because all the live entertainment at Walt Disney World is so good! It’s tough to choose favorites. What do you think? Do you agree with these selections? Let us know!